FINANCIAL DISTRICT — Spider-Man — along with a crew of about 250 — is swinging into lower Manhattan next month. “The Amazing Spider-Man 2,” the latest installment of the blockbuster superhero franchise, is set to shoot in FiDi’s iconic 20 Exchange Place building for four days, from April 22-24 and again on the 29th. But Spidey won’t be scaling the 57-story, landmarked skyscraper, as all the filming will be done in the art-deco building’s “grand” interior, location manager Jason Farrar told members of Community Board 1’s Financial District committee Wednesday evening. With all the shooting done inside, there won’t be any street closures accompanying the production — allaying a major concern for board members who gave their support to the filming. Farrar said his goal was to be a good neighbor while production trucks and generators take up space in a neighborhood of narrow, congested roadways. Film crews will also buy lunch at local restaurants, in lieu of having meals provided by a catering service, to support local business. The movie team will also make donations to local causes, including to TriBeCa’s Manhattan Youth community center and Pace University’s Upward Bound, a college preparatory program and grant fund, Farrar said. Despite the potential difficulties of setting up along the busy, winding streets of the Wall Street area, the neighborhood and building are no strangers to Hollywood productions. 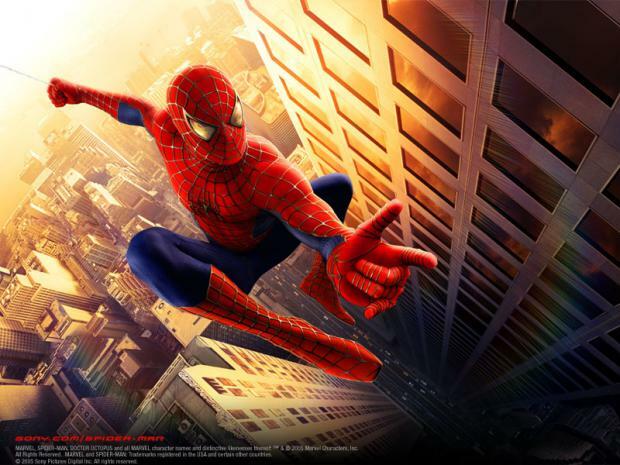 "The Amazing Spider-Man 2," which has already been shooting at various locations throughout the city, is due in theaters in May 2014.